My beloved’s nephew and godson is getting married this week and we’re going to the UK for the wedding. Since the date clashes with the Vuelta a Espana, which is visiting some of my favourite locations in Spain, there’s every chance I would’ve skipped the wedding except I was tasked with making the cake. The nephew’s long-term partner is a graphic artist and the two of them had very definite ideas of what they wanted the cake to look like. 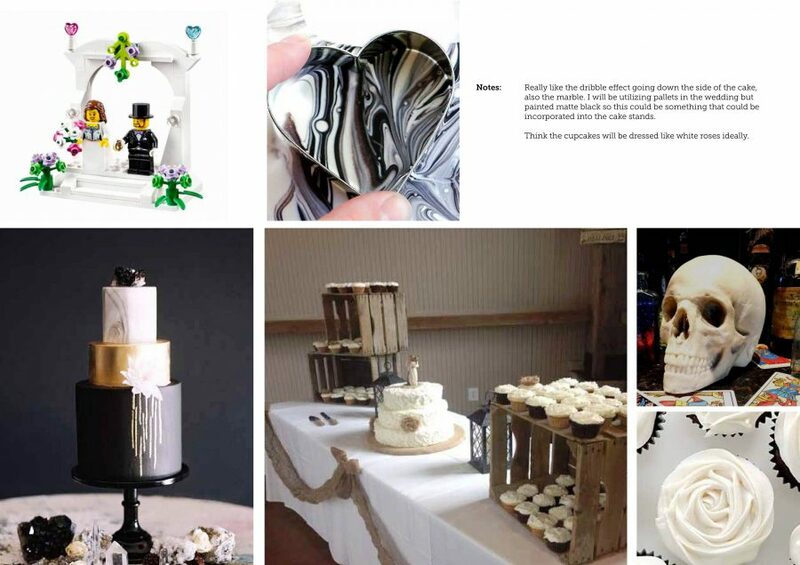 I initially received loads of photos from them (above), probably from Pinterest, of US style, mile high, sponge wedding cakes until I gently pointed out some of the challenges with their suggestions. 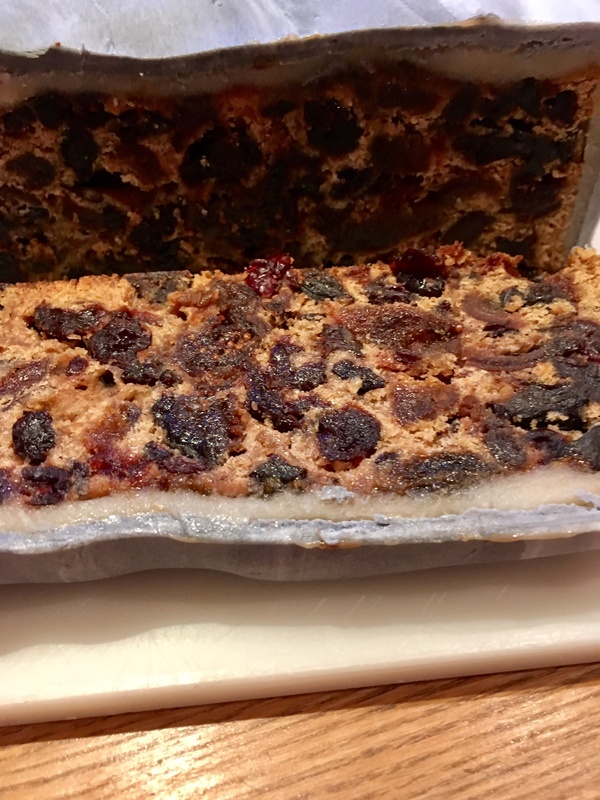 Finally, they agreed on a single tier, traditional fruit cake. I’ve never made a wedding cake before though I have over the years made hundreds of iced and marzipaned fruit cakes, I’ve just never made one quite this large. To put it in context, it’s six-times the size of one of my Christmas cakes. 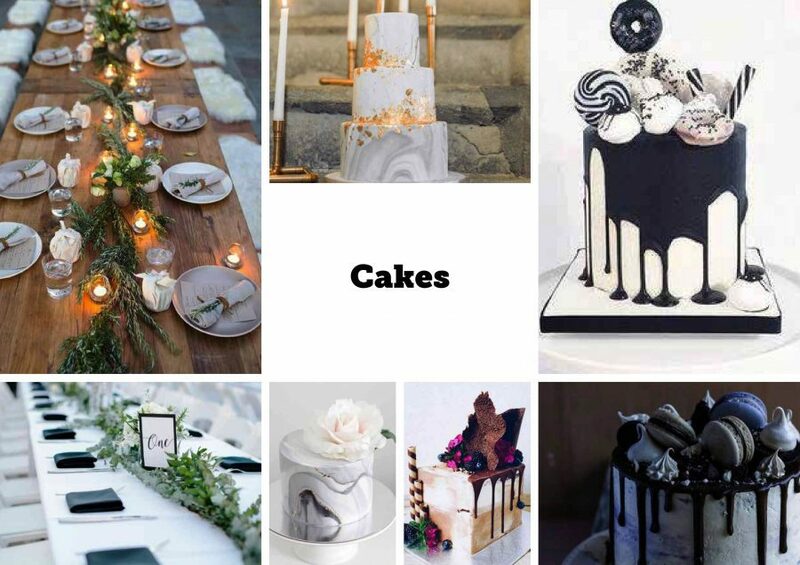 The bridal couple decided that, as not everyone likes fruit cake – though I’ve yet to find anyone who doesn’t like mine – they’d only have a single-tiered cake, 25cm square (serves 90 fingers), along with plenty of iced cup cakes for their 120 guests. Thankfully someone else is making the cupcakes. Of course, I did my research and found out how much bakers charge for organic iced fruit cakes of this size. To be honest, I think I’m still in shock. Needless to say, this will be their wedding gift. I also discussed the shape of the cake with the caterers who expressed a preference for a square cake, much easier to cut, even though round cakes are easier to decorate. I will be flying with the cake which has its own carrying case, so it’s fortunate that they didn’t want any elaborate iced decorations. After plenty of trial and error on my part (pictured above), practising on the Christmas cakes, the pair decided they’d prefer a lightly grey marbled finish, not dissimilar to that of their wedding invite. Fortunately, I cracked this effect on the trial cake I made earlier in the year. You know me, planning and preparation are key to success! It took me ages to ensure that the trial cake was properly mixed. I couldn’t use my mixer, it was too small. Once I’d creamed the butter and sugar and added the eggs, the remaining mixing was done by hand. After it was baked, I allowed the cake to rest, before commencing its decoration. Fortunately, I still had plenty of fondant icing left over from Christmas which I’d been practicing with to try and achieve the desired overall pattern. It took quite some time to roll out and measure both the marzipan and icing. It was much easier once I’d acquired some spacers! These more easily enable you to roll out both to a similar overall thickness. At least the marzipan is affixed to the cake in panels using apricot jam, whereas the fondant icing has to be in one giant, continuous piece. I must’ve spent over 45 minutes rolling it out. The trial cake threw up a major issue. While the thickness of the icing and marzipan passed muster, we realised that we’d never attempted to cut any of my cakes into 4″ fingers, just great fat wodges. It was far too moist to easily cut into fingers. I now appreciate why wedding cake is always so dry, it cuts much more easily. Fearing the wrath of the caterers, I decided that I’d probably have to cook the cake for longer and dial back on the copious amounts of rum! 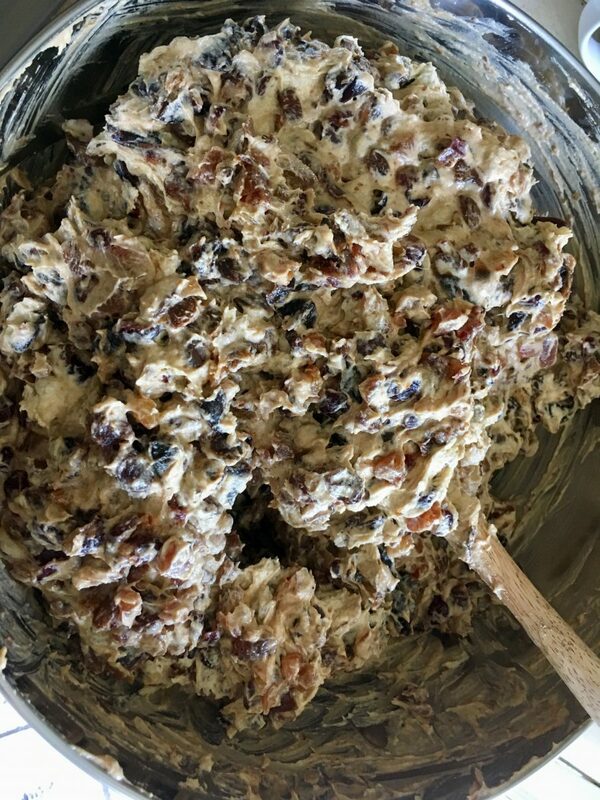 The actual wedding cake was made in mid-August, having soaked the dried fruit for two weeks beforehand in much less rum than usual. I cooked it for seven hours in a low oven and in a much lined and insulated tin. When I turned the cake out of its tin, I inverted it so as to have a perfectly flat top to decorate. I then had to wait for a coolish morning to firstly afix the marzipan. It had been so humid, I feared the marzipan would be too sticky to roll out. I then had to leave it a coupe of days for the marzipan to dry before applying the final coating. Fortunately, I had plenty of icing just in case…….. Unfortunately, my first attempt at icing the cake suffered from elephant’s foot. Which is a technical term to explain hairline cracking. I read everything I could find on the internet but there was no way to fix it. So, I took all the icing and marzipan off, and started again! This, thankfully was much more successful. And here it is! It’s a bit of a whopper. I decorated the bottom of the cake with some bright green ribbon provided by the bride and the cake topper is a lego bride and groom (pictured above). Fotunately, the cake made it safely through customs and onto the UK bound plane without incident.